Once you’ve decided that you need an HVAC contractor for your West Metro, Wright County, and Buffalo area home, you’ll need to choose the best contractor to meet your needs. Repairing or replacing your home’s air conditioning system can be a costly investment, so you should carefully consider the AC contractors in your area. When interviewing a potential air conditioning contractor, be sure to observe their policies, as well as the contractor’s demeanor and general command of HVAC repair skills and knowledge. 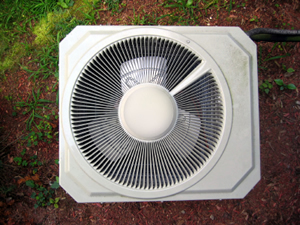 If you are replacing your current air conditioning unit, a good contractor will ideallt insist on evaluating your home in terms of size, structure, and current ventilation layout rather than blindly installing a new system. The service estimate is a great opportunity to evaluate a potential HVAC contractor for professionalism as well as expertise. A good air conditioning installer should be very knowledgeable about the different models of AC units, and should be able to recommend several models based on your house’s needs, your interest in energy-efficiency options, as well as your current budget. You should feel like you can trust your new heating and cooling repair specialist. Another good way to locate a good quality HVAC repair specialist is by asking friends and family for personal reviews. They should be able to offer suggestions for heating and cooling contractors in the West Metro, Wright County, and Buffalo area that they’ve successfully hired before. You can also search online for reviews from previous customers on sites like Google Plus, Angie’s List, or even Facebook. Before investing in expensive work on your home’s HVAC system, be sure to thoroughly research the AC repair specialists in your area. If you are looking for Air Conditioning Contractor Company then please call 763-684-3965 or complete our online request form.